AMD CPU Share up 10.4% in Q2 2017, largest gain in history! Granted AMD CPUs were pretty rubbish for a long time compared to Intel's models, 11 years after the 50/50 split of 2006, 50% lower IPC can't be made up with underutilized cores when the bulk of the market decides to keep going with single threaded programs which allow cheap Core i3s to thrash more expensive FX-8350s. 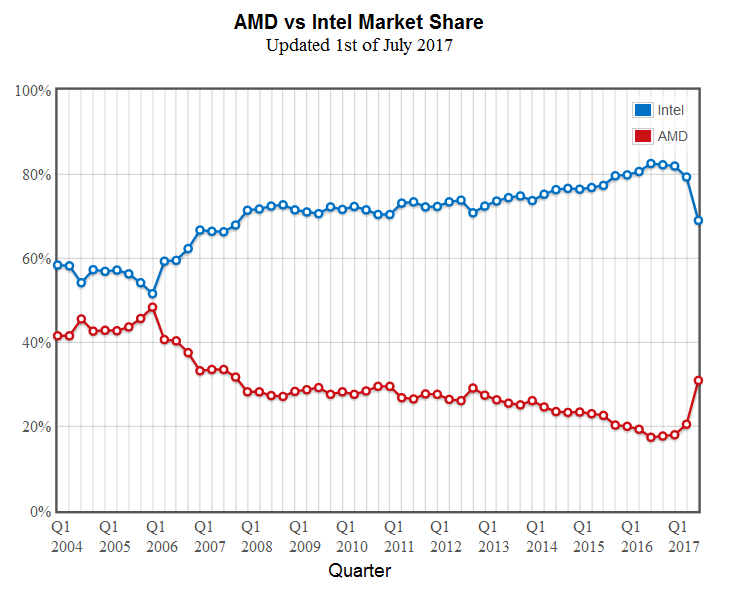 Looks like AMD's strategy to go with the high end first paid off, hope the trend continues with Zen 2.